RALEIGH, N.C. - Oct. 11, 2018 - PRLog -- Tingen Construction is pleased to announce that the company has been honored with a Gold Award by the Franklin County Home Builders Association for its entry in the 2018 Tri-County Parade of Homes Event. 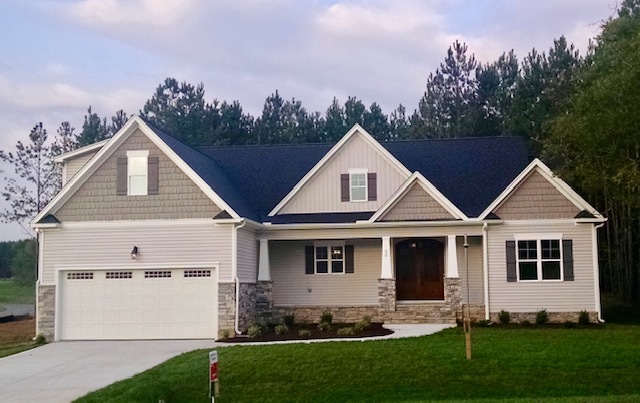 The Tri-County Parade of Homes features the latest and greatest in new home design, construction, and technology in various price ranges in Franklin, Granville, and Vance Counties. Tingen Construction was recognized with a Gold Award for "The Kearney," an exceptional 4 bedroom/3 bath home located at 20 Moody Lane in Youngsville's brand new Cedar Ridge neighborhood. The Kearney is an open-concept ranch plan with 3 bedrooms and 2 baths on the main level and an upstairs 4th bedroom (or bonus room, your choice) and full bath. Outstanding features include a lovely arched French entry door, an epicurean kitchen with an expansive center island, a coffered family room ceiling, custom trimwork, and a spacious screened porch for outdoor living. At 2,337 square feet, The Kearney offers tremendous value at $349,900. To visit The Kearney at Cedar Ridge from I-540 East, take the Capital Blvd/US 1 North exit. Travel approximately 11 miles; turn right on Holden Road, which becomes West Main Street. Turn left on Cedar Creek Road. Travel 1.4 miles; the entrance to Cedar Ridge is on the right, just past Oak Level Christian Church. For GPS purposes, enter Cedar Creek Middle School at 2228 Cedar Creek Road in Youngsville. Cedar Ridge is diagonally across the road from the school, and The Kearney is the first house on the right upon entering the neighborhood. Respected throughout the Triangle area, veteran custom home builder Dan Tingen founded Tingen Construction Company in 1980. He has long been known for his hands-on experience, reliable service, and dedication to his craft and to the home building industry. These attributes have combined to result in an outstanding reputation for building exceptional custom homes. Tingen has built an abundance of homes in Wake, Orange, and Chatham Counties over the years, and has recently added Franklin and Lee Counties to his repertoire. His homes range in price from the $250s to $1.3 million. Learn more about Tingen Construction and Cedar Ridge by visiting tingen.com or by calling 919-875-2161.